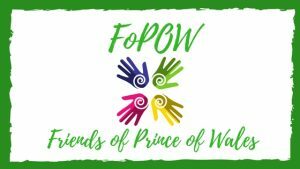 The Friends of Prince of Wales (FoPOW) is our Parent Teacher Association, acting on behalf, and in the interest, of all the children and parents at the school. Our role is to encourage closer links between home and the school. All parents and carers of a child attending the school are automatically members of the Friends of Prince of Wales, as are all the teaching and non-teaching staff at the school. · To strengthen relationship between the parents, staff and others associated with the school. · To raise funds for the school to help with extra projects that would otherwise be unaffordable. · To encourage community spirit. All the events the Friends as organised has been well attended by the local community. If you would like to get involved, we would love to hear from you. No matter how small or large your contribution is, we can find a role for you. We are always looking for fresh faces and new ideas. You decide how much time you can give. All help greatly appreciated. To get in touch, email at friends@princeofwales.enfield.sch.uk . © Copyright 2019 Friends of PoW. Preschool and Kindergarten by Rara Theme. Powered by WordPress.